The commonest types of Melica Plants grown in the garden are Melic grass Onion grass, and Melic. 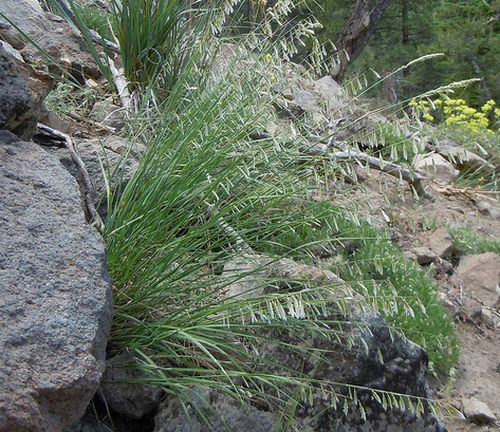 The genus itself contains many other grasses and they range from 30 to 60 cm in height. Melica species usually flower in the summer with silky inflorescences. Melica stricta by Matt Lavin. Common Names: Melic, Melic Grass, Oniongrass, Staggers Grass. Height: 4 to 40 inches (10 to 100 cm). Flower Details: Silver, green, purple inflorescences. Spikelets. Sow Outside: Cover seed. Germination time: three weeks at 60 to 75°F (16 to 24°C). First two months of spring. Spacing 8 to 12 inches (20 to 30 cm). 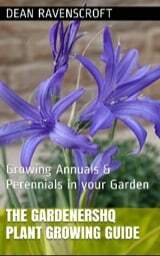 If planting purchased plants from a gardening center do so in the spring. Requirements and care: Full sunlight or partial shade. Soil pH 5.0 to 7.0. Moist soil. Regular watering during dry periods. Cut back in the spring-time. Propagate: by dividing in the spring. Miscellaneous: Corms are onion like. The name Melica comes from Latin for honey (Mel) and belong (Ica). It is best to sow Melic grass outdoors; sow about 25 cm apart at the beginning of spring; then lightly cover the seeds. It will take about three weeks to germinate the pearl grass seeds once the temperature has reached about 15 to 20 degrees Centigrade. The plant can grow in either sunny or partially shaded parts of the garden and likes to have a moist soil. Once established cut the Melica back in the springtime; this will encourage vigorous thick growth. It is important to keep the soil moist so water regularly. If you require more Melica Plants then the plant can be divided in the spring.